It's possible to be sure you're going to heaven but to end up, um, somewhere else. But that tragedy can be avoided by heeding the words of Jesus in the Sermon on the Mount. In the last 15 verses of His Sermon (Matthew 7:13-27), Jesus tells us how to make sure we are on the narrow road that leads to life rather than the broad road that leads to destruction. Even if you think you don't need a spiritual reality check, I hope you'll submit to this one. Too much is at stake to assume you are safe rather than putting your faith to the test. In God's eyes, we already look like Jesus. But in real life, we're playing catch-up. 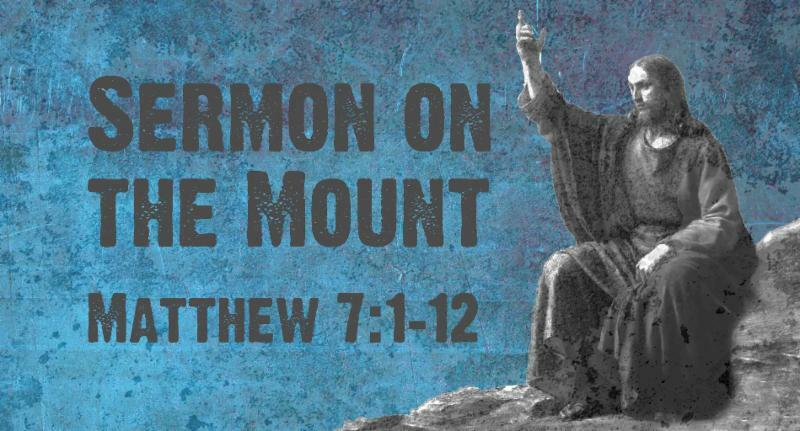 The Sermon on the Mount shows us what nitty-gritty Christlikeness looks like, and challenges us to pursue that ideal. As we study the first 12 verses of Matthew 7, we'll discover three very practical ways to become more like Jesus in our relationships--with God and with other people. I really hope you'll come and let the Spirit of God make you a little more like the Son of God. Look around...do you see it too? People everywhere desperately need Jesus, but their needs are so extreme that our efforts to help hardly make a dent. We push ourselves to try to help more and -- let's be honest -- we tend to get frustrated at others who don't. This problem causes many of us anxiety and can even put a strain on our friendships. So how can we help without causing damage? Jesus witnessed that same problem, and He tells us exactly what to do.